When you are looking to change up your classic slaw, this recipe is for you. Jicama has a crisp sweet flavor similar to raw snow peas and so delicious. The beets and eggs add a wonderful richness to this combination. 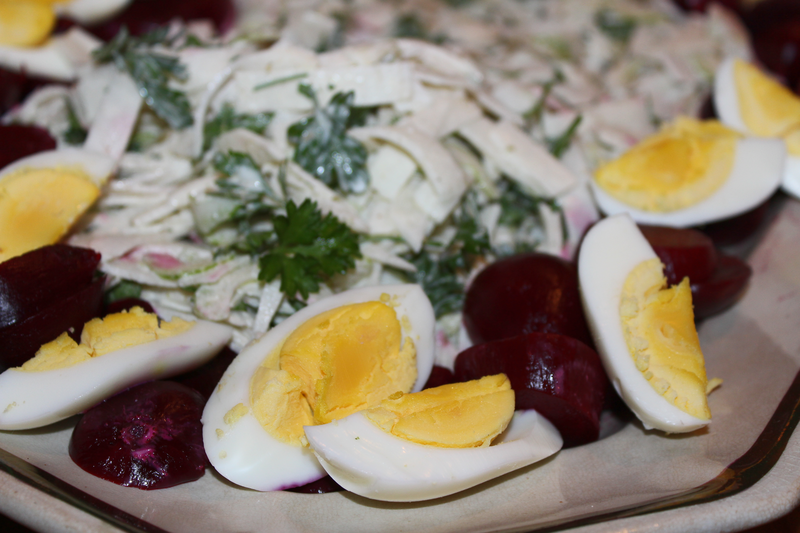 This entry was posted in Recipes and tagged Eggs, jicama, Parsley, salad, slaw. Bookmark the permalink.